Another new and improved Lomandra from eastern Australia. It is different to some of the other forms in that the flowers sit above the blue-green narrow leaves. 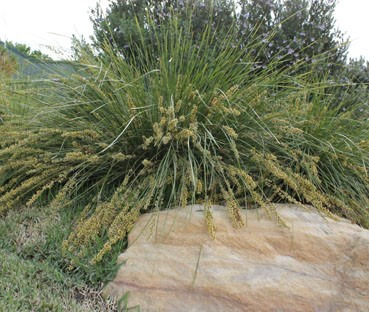 It is a tidy, compact, frost and drought tolerant grass that can handle occasional wet feet. Almost no maintenance and will grow in most soils and situations. Wonderful in mass plantings or by pools and containers. Propagation Information: Grown by division.